will set you up on a beach launch chair. 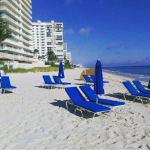 Dr. Jet Ski has a luxurious and relaxing beach spot just for you! Our beach attendants are fully trained on accommodating you as best as possible so you can get the most out of your fun-filled beach day. The attendants can position you in prime beach location so you can maximize your sun tan time or they can put you in a spot where you can enjoy the endless ocean view from many different angles. 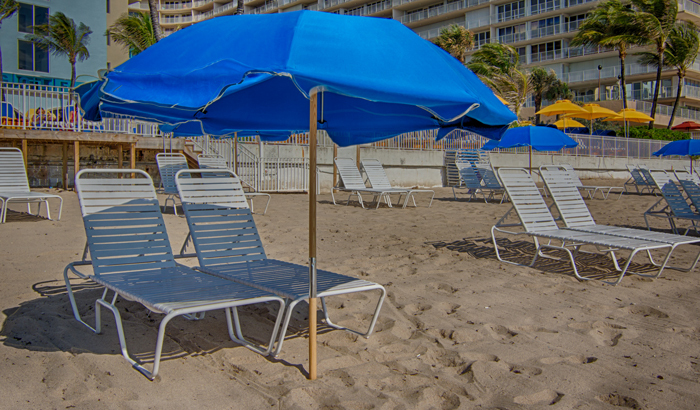 You can’t go wrong basking under the sun while relaxing on a comfortable lounge chair and one of our beach type umbrellas. for a personal mattress for you launch chair. Once you sink in one of those and you will know Florida is spoiling you. 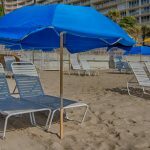 We offer beach chairs, umbrellas, cushion, and even full cabanas to make your day at the beach fun and comfortable for the whole family. Just want to sit and relax? We have a lot of beach chairs available on the beach. 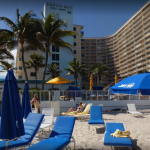 Upgrade to 100% comfort, we have it all ready for you - grab and enjoy your day on the beach. Full sunshine or a bit of shade, we have it all. Whether you’re searching for El Dorado or discovering America, a kayak is required. An expedition just doesn’t feel right without a kayak. This is where your journey begins. Don’t let another day go by without experiencing this exhilarating water adventure in Fort Lauderdale!